With the help of the next verses, I gather that Lehi saw a vision of God the Father, with angels all around, and that Jesus Christ was among the angels, and He (Jesus) came down, with his twelve apostles following behind. Finally, Jesus comes to Lehi and gives him a book. I only jump ahead like that to illustrate here that it appears that it really was God the Father (not Jehovah) that Lehi saw sitting on the throne. If I’m correct about that understanding, then this was a rare opportunity for Lehi. Even among prophets, seeing the Father during mortality isn’t common. What do we know about the opportunity to see the Father, either in vision or by visitation? Yes, a person can see God, but like I said, seeing the Father is a very rare blessing. Who Can See God the Father? They bare witness of the Son of God. What other qualifiers have people had to meet before they could see God? 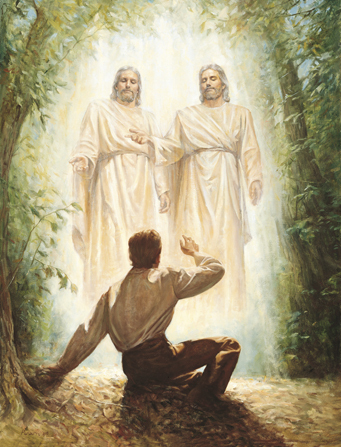 Which Prophets Have Seen the Father? Though a great many of the prophets have seen Jesus Christ (who is Jehovah, God of the old testament), a few have seen The Father. 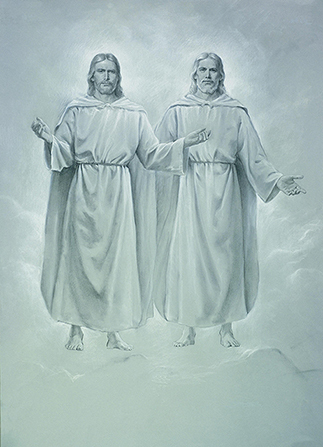 Joseph having given instructions, and while engaged in silent prayer, kneeling…a personage walked through the room from East to west, and Joseph asked if we saw him. I saw him and suppose the others did, and Joseph answered that this was Jesus, the Son of God, our elder brother. Afterward Joseph told us to resume our former position in prayer, which we did. Another person came through; He was surrounded as with a flame of fire. [I] experienced a sensation that it might destroy the tabernacle as it was of consuming fire of great brightness. The Prophet Joseph said this was the Father of our Lord Jesus Christ. I saw him…. “There is not a person here to-day but what is a son or a daughter of that Being.” 15)Discourses of Brigham Young, p. 50. We need not be troubled that we don’t see the Father now. In the end, all of the faithful will see God. 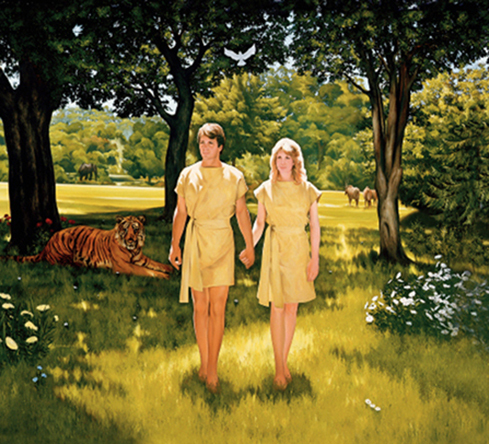 “Nothing is going to startle us more when we pass through the veil to the other side than to realize how well we know our Father [in Heaven] and how familiar his face is to us.” 17)Jesus Christ-Gifts and Expectations,” in Speeches of the Year, 1974, Provo: Brigham YoungUniversity Press, 1975, p. 313. If we’re living right, it really doesn’t matter if it’s in this life or the next. There is no point in laying eyes on Him just to prove He exists. Now is the time to exercise faith in Him. 15. ↑ Discourses of Brigham Young, p. 50. 17. ↑ Jesus Christ-Gifts and Expectations,” in Speeches of the Year, 1974, Provo: Brigham YoungUniversity Press, 1975, p. 313.